space and place explores the soul and identity of contemporary Vienna. We celebrate the city in all its modern complexity. Our group works across the digital, physical & political realms. space and place is urbanism. We walk, dance, eat and research with locals. 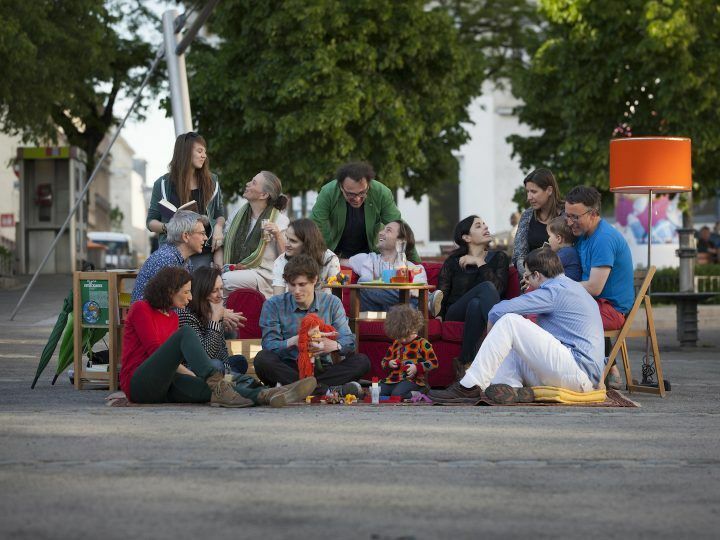 We play with Vienna, animating social spaces to bring people together in unusual situations. space and place takes risks – and people enjoy it. We are a non-profit group who use social interventions to make important new connections across the city. To engage people with ideas. By using elements that ease interactions – encouraging ‘social capital’ – we’re more likely to recreate the rich social landscape we intuitively love. Really belonging to a city is a special feeling. We celebrate diversity: space and place is about opening up conversations in Vienna, often using humour to make serious points. We are interested in celebrating the power and potential of local communities around the city. Integration is complex and interesting; it’s older people meeting youngsters, gays sitting down to chat with straights, rich meeting poor, right with left, women meeting men. None of our events have an official end. We want to use the energy and ideas collected to create new networks. space and place wants to tell new stories about Vienna, refreshing its international image. We hope our activities can be a hub for dialogue, a forum to explore new initiatives. As outsiders as well as residents, we celebrate what is great about our city. We love Fellini, spectacle and joy. We stand for communities representing themselves in the most colourful and funky way. We can all make a difference, in small ways, so that life is more social. Let’s all be rebellious optimists, looking for solutions, instead of problems. Come join us in our project to remix the city. We hope to meet many of you at future space and place events.